To most of Filipinos now, summer wouldn't be complete without a pair of new, soft and colorful flip-flops. To most of those, including me, when we speak of flip-flops, we mean only one brand - it's definitely Havaianas! And last day, to complete the summer feel in the metro, Havaianas opened its annual Make Your Own Havaianas or best known as MYOH to selected people who are I'm pretty sure summer and flip-flops lovers. On its 9th year, MYOH brought back Brazil in the Philippines. 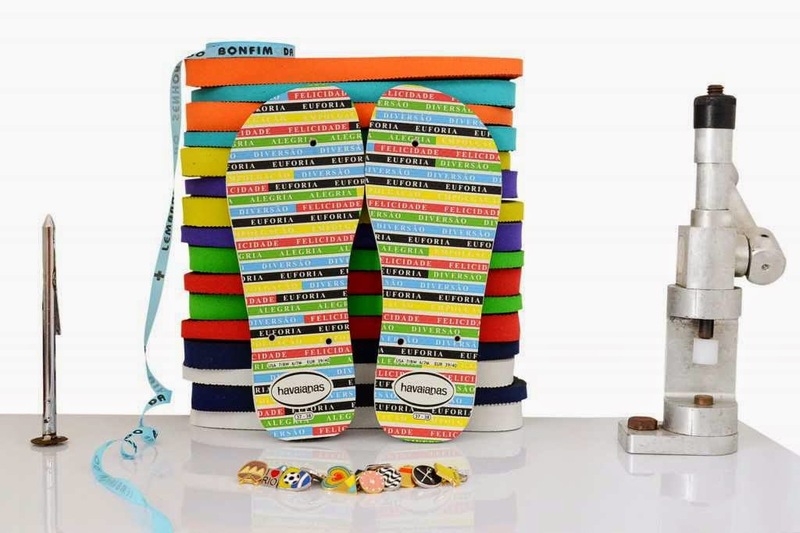 With a carnival theme this year that simply spells S-U-M-M-E-R, MYOH brings more color, fun and exciting flip-flops design that collectors and avid fans would enjoy. And along with other celebrities, personalities, bloggers and Havaianas fans, I had great night at Glorietta Activity Center, which was filled with chillaxing music, colorful bandannas, feathers, and of course, flip-flops that smell so good! Hahaha! If you are coming here this May 8-11, the official public opening of MYOH 2014, let me give you some pointers. It's a good idea if you'll be coming in with family or friends. There are thousands of combinations that you can have on this year's MYOH, so I'm pretty sure there's something for everyone. Make sure that you come early. Since MYOH is a once a year event, hundreds of Havaians aficionados will be flocking in to get their annual dose of colorful Havaianas. Glorietta opens at 10 in the morning, so be there before 10. This year's featured design is this one below. So if you are that kind of person who collects the featured design of MYOH, well, you'll be getting something like this. Since this is MYOH, you have the power to customized it. They'll hand you a booklet that contains all the colors of soles available, and also the straps and pins. Price per pin varies, so choose wisely if you are on a budget. I already and know a lot of people who purchased this one, but since I'm the kind of person who prefers plain colored soles, I got this Ruby Red slippers. I'm also the kind of person who doesn't fancy too much pins, so I just got this Bohemian pin that would compliment to my summer trips. Of course the price of the flip-flops are still the same as those on All Flip-flops stores, but it's the experience and thrill of making your favorite flip-flop that counts here, so go to Glorietta from today May 8, until May 11, and satisfy your longing to colorful, soft and lovely flip-flops of Havaianas! Happy summer, everyone! Happy MYOH!